Cinnamon Jazz comprises Hemi on guitar, Julia on electric bass and vocals, and Chris on drums/percussion. We can flex our line up to play in different combinations of duo, trio and even a quartet with added sax to suit your event and budget. 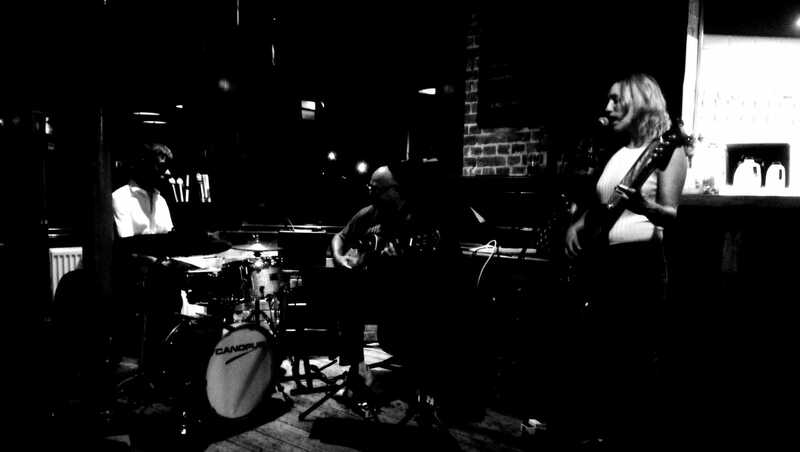 The group specialise in mellow, melodic, rhythmic jazz, especially Bossa Nova. 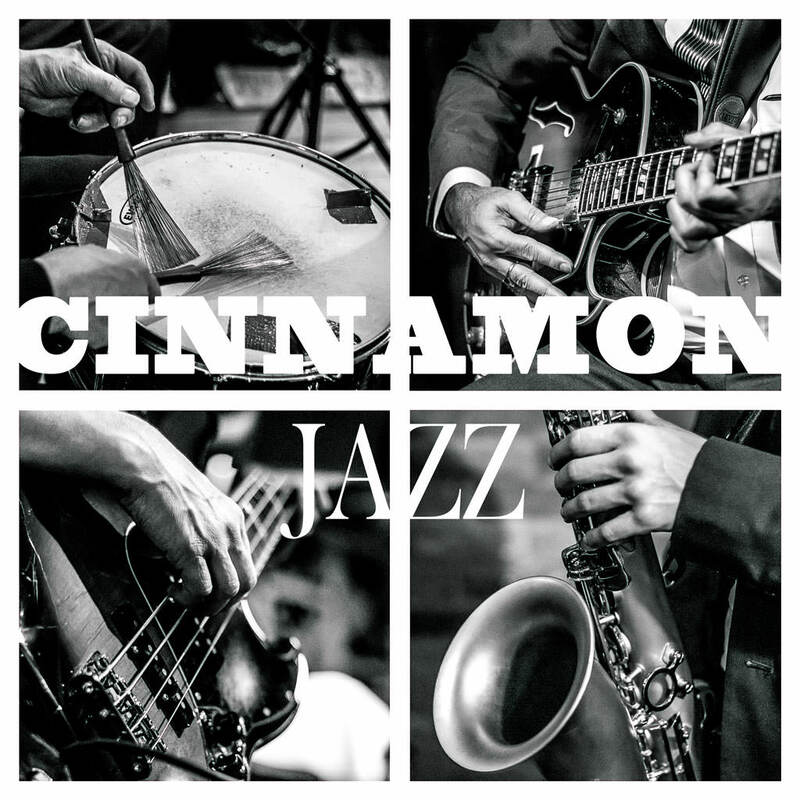 Cinnamon Jazz will add flavour to parties, receptions, soirees, and will enhance the romantic mood at weddings. We create ambience whilst you drink, dine and chat. "Thank you so much for playing today. I hope you all enjoyed it. I think everybody had a great time, and your music was brilliant and a huge part of the success of the day." "Cinnamon Jazz were excellent and really fitted with the Cocktail Party mood, their music was very well played and fitted superbly with the ambience. 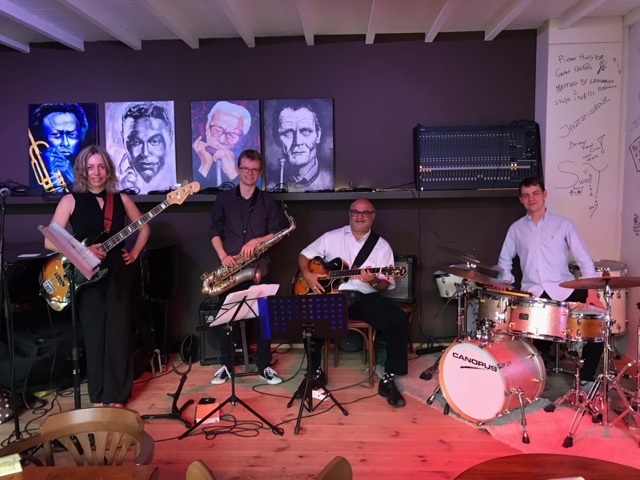 They were very flexible and considerate with our requests over times and I would recommend them to anyone considering a Jazz Band; simply excellent"
"Thank you for helping make a great evening in Eastleigh (steam house brew co), including taking the time out to chat. It was wonderful music, you were very generous with your time and I had a really lovely night"